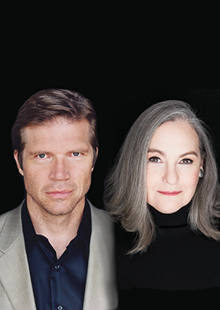 Two of the opera world’s foremost performers, Susanne Mentzer and Rod Gilfry — both two-time Grammy nominees — join forces for an intoxicating afternoon of luminous vocal talent and electrifying stage presence during Performance Santa Fe's Festival of Song. Mezzo-soprano Mentzer, a Metropolitan Opera regular, will sing Grandmother Buryjovka in this year’s Santa Fe Opera staging of Jenufa, while Gilfry, a “lusciously shaded” (San Francisco Chronicle) baritone and Mozart specialist, will perform the role of Don Alfonso in Così Fan Tutte. You simply cannot miss Mentzer’s “vibrant intensity” (Chicago Tribune) and the “full-voiced, superb” Gilfry (Opera News) during this Festival of Song recital!